There’s a good reason return of indie bleepy bloopersters The Postal Service has been so widely heralded. In case you didn’t spend your formative years listening to the band – and there’s a good chance you didn’t, considering their debut release Give Up is turning 10 this year – you might not fully appreciate the relationship that some of their “older” fans might have with the group. But even the youngsters must know how awesome the group comprised of Ben Gibbard, Jimmy Tamborello, and some of their friends is. But the band has just released a new song, “A Tattered Line Of String”, on the off-chance there were any youths that needed convincing. 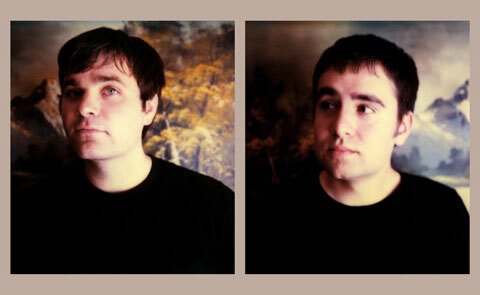 The first single from the 10th Anniversary Deluxe reissue of Give Up, the new (wave) song from The Postal Service is a bit more upbeat and sensual than much of their previous material. That isn’t to say that these guys are aping Madonna or anything. With lyrics like, “So you came to my room/ we did some things that we knew not to do/ in the glow of the night’s golden hue” set to an angular sonic landscape, you know this is still the same band. It’s safe to assume that they’ll play this new cut during their international tour this year. Check out the pseudo-video for “A Tattered Line Of String” after the jump. The 10th Anniversary Deluxe reissue of Give Up will be released April 9 on Sub Pop. Pre-order it here. No word on whether it’s actually going to be available in that many different vinyl pressings.